Provide comfort for the family of Maria Caraballo with a meaningful gesture of sympathy. 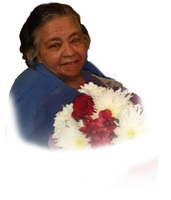 Springfield - Maria Caraballo, 75, passed away on Saturday, February 2nd, 2019 at Wingate of Hampden. Maria was born in Humacao, Puerto Rico on November 11th, 1943. She was the daughter of the late Santo and Isabel Rodriguez and was predeceased by her only daughter, Juana (Jenny) Caraballo. Maria cherished her family and loved spending time with them. She will be missed but always remembered for her strong and sometimes feisty personality as well as her way of bringing everyone one together with her delicious home cooking. She is survived by her loving husband Pedro Caraballo of 43 years; her son Pedro, of Springfield, MA; her son Juan (Johnny) and his fiancé, Kim Amundarain of Ellington, CT; her son, David and his wife Michelle of Springfield, MA; her son Martin and his fiancé Stephanie Szumski of Springfield, MA; her brothers; Jose (Chelo) and Juan Rodriguez, her Sisters; Delia, Ada and Carmen Rodriguez, 17 Grandchildren, 5 Great-grandchildren and many friends. Calling Hours will be on Thursday, February 7th, 2019 from 11:00 am 1:00 pm at North End Funeral Home & Cremation Services, 130 Carew Street Springfield, MA 01104, followed by a burial in Oak Grove Cemetery, 426 Bay Street Springfield, MA. To send flowers in memory of Maria Caraballo, please visit our Heartfelt Sympathies Store. We encourage you to share your most beloved memories of Maria here, so that the family and other loved ones can always see it. You can upload cherished photographs, or share your favorite stories, and can even comment on those shared by others.